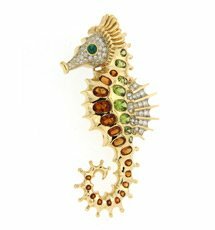 You may have noticed the sudden spurt of gold ornaments in the galleries this year, and in case you are wondering, yes, gold is one of the greatest trends that is going to dominate 2018. It was announced and confirmed by the fashion makers and designers early this year when gold was relaunched as the primary material in fashion shows. Now is a good time to add to your collection of earrings. Jewelers have already advanced their best foot in the game with the launch of some spectacular gold earrings by the very start of this year. Let’s give you a glance of some of the finest specimen that met our eyes so far. A very modern and chic specimen, this piece is an instant attention magnet. Designed by piecing together two fold over rings with a circular link, this earring set is the best thing to go with anything, cocktail dresses and party frocks. Big enough to garner attention and just the right size to sit smugly on the ears without hanging heavy from the lobes, this earring is just as gorgeous as it sounds. Clip backs allow easy wearing and taking off. If you are looking for some new styles in danglers, then you have to take a look at this set. Crafted by linking multiple rings of different sizes and styles, this oval earring is quite an eyeful. Chandeliers from a distance, and swoon-worthy danglers up close, this is perhaps one of the most visually interesting danglers you will ever own. 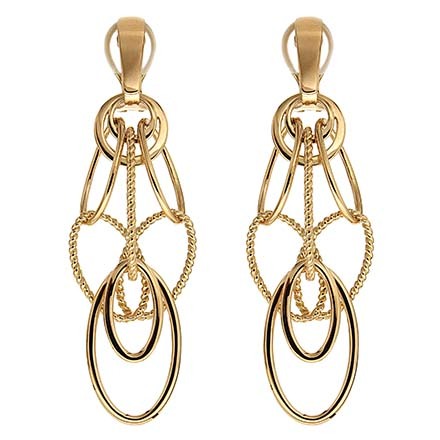 Made of plain and twisted oval wires, the cascading earrings is quite something. The “interlocking style” is popular this year. 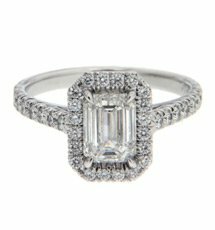 You will see it in earrings, necklaces, bracelets and even in rings. The design motif is created once again by linking soft rectangles to create a cascading triangular trellis effect. 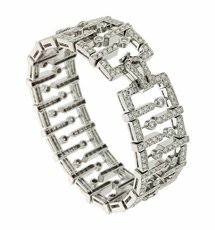 It is a unique design which truly compliments the wearer. Bold is the style this year. 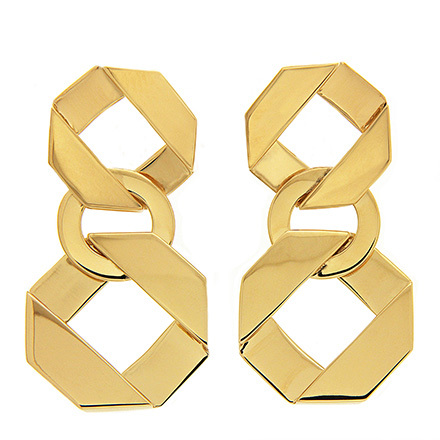 In big and bold earrings, consider this very stylish and bold triangular dangling earrings. 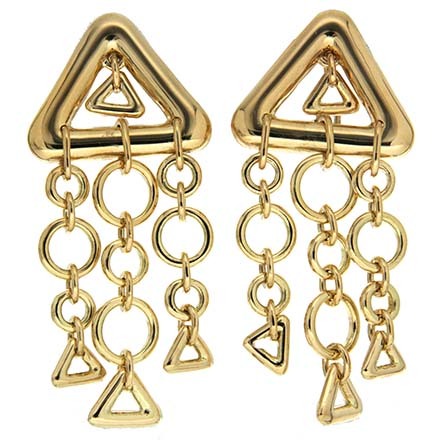 Set with a pair of triangle within triangle studs, this one features several circular rings that are arranged in a seemingly random but very planned order that hang from the bottom of the triangles. The cascade ends with three triangle links that finish the arrangement. 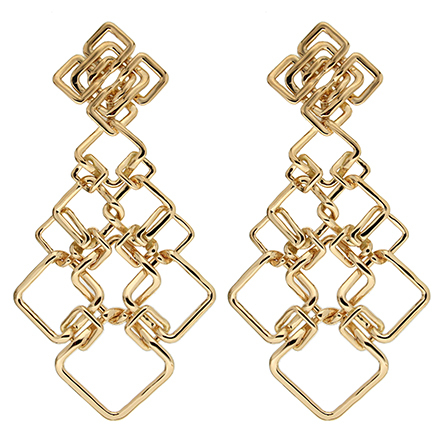 A design concept to follow this year is asymmetry in earrings. 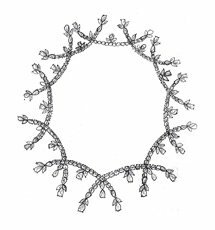 Here is one that shows the onset of asymmetry through a fully symmetrical set of danglers. 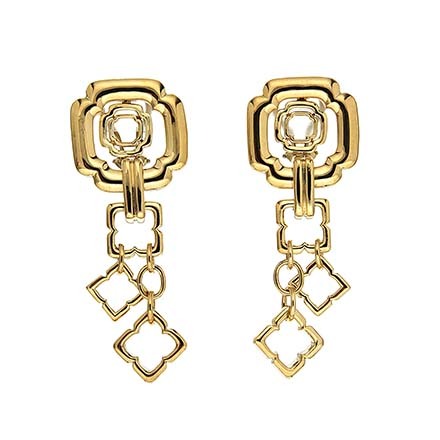 Designed with ornately designed boxes and circles that link with one another to create a perfectly calculated randomness, this earring is going to be an easy favorite among women who have a taste in modern jewelry with a special weakness for geometrical ones.